Sit back, relax and indulge in afternoon tea for Mother’s Day at The Angel Hotel. The hotel has been a member of the prestigious UK Tea Guild having held an ‘Award of Excellence’ since 2008 – one of only nine hotels outside of London to have achieved this. Each morning specialist baker at the hotel Sally Lane prepares the afternoon tea which includes sandwiches, cakes and pastries and a scone with jam and cream. Alternatively, opt for the high tea, which includes everything in the afternoon tea with the welcome addition of warm savoury pastries. High Tea: £30.00 per person. The five star Celtic Manor Resort is the ultimate destination for all things luxury, perfect for spoiling Mum this Mother’s Day, set in 1,600 acres of parkland in the hills north of Newport. This Mother’s Day weekend the resort is hosting a range of afternoon teas across its restaurants, including The Olive Tree & Garden Room on Saturday 10th March and The Manor House on Sunday 11th March. Savoury and sweet delights on the menus include a baked pear, feta and walnut tart, a white chocolate opera slice and not forgetting a warm fruit scone. 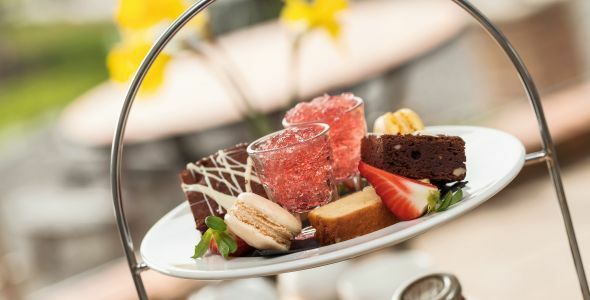 For an extra special treat try the ‘Hedley’s Tea with Sparkle’ afternoon tea, which includes a glass of prosecco for adults, a fruity fizz for children and a box of chocolates for mum. Afternoon tea at The Olive Tree & Garden Room on Saturday 10th March and The Manor House on Sunday 11th March: £38.00 per person. Hedley’s Tea with Sparkle: £46.00 per person. Fancy visiting a fairytale castle? 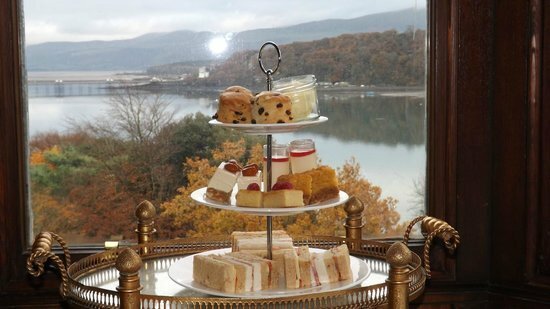 The stunning Chateau Rhianfa is set perfectly on the Menai Strait and is a beautiful Princess-like castle with stunning views. 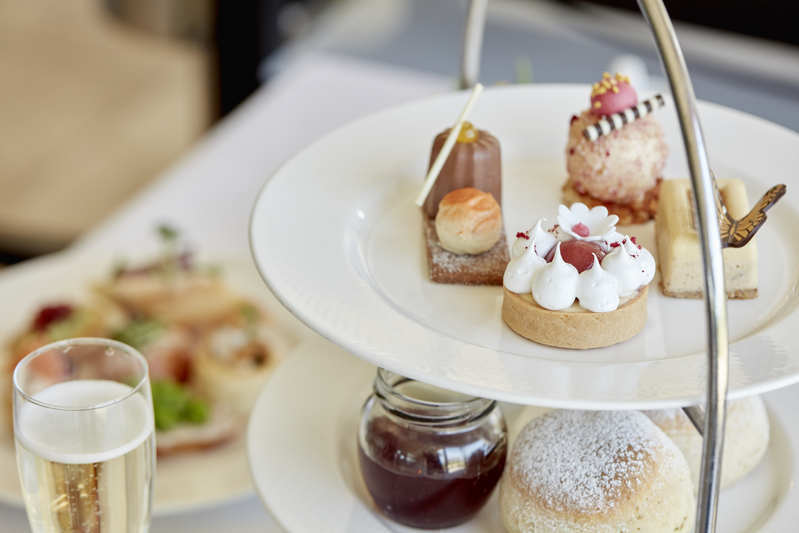 This Mother’s Day treat Mum like the Queen she is in her very own fairytale castle, the afternoon tea menu features sandwiches, sweet treats and scones. Wash the bite sized delights down with a hot cup of tea or coffee or indulge a little further with a gin or prosecco! Expect to see classic choices on the menu such as a cucumber and dill butter and a rare sirloin of beef and horseradish sandwich, to a fruit scone and chocolate brownie. Prices from: £25.00 per person. The Gliffaes Country House Hotel is surrounded by the rolling hills of the Black Mountains and is the perfect setting for a family Mother’s Day gathering. 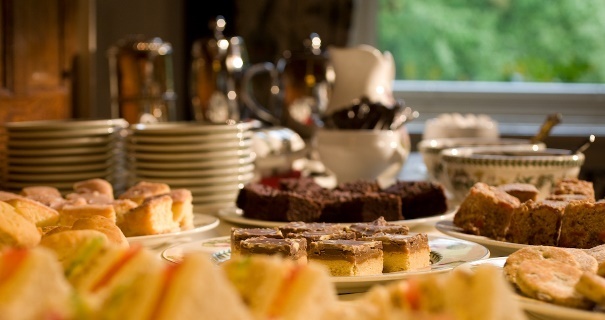 This afternoon tea at the country house is a little different to the traditional setting for afternoon tea, they serve their delicious offering as a buffet. Allowing guests to help themselves to as much or as little they like, as many times as they want – perfect washed down with hot cups of tea. You’ll find all the afternoon tea necessities at the buffet table of course, including scones! Enjoy a delicious afternoon tea whilst looking over the picturesque Llanerch Vineyard – it is Mother’s Day after all, plus you can grab a bottle before you leave! The Llanerch Vineyard at their Cariad Restaurant offers three afternoon teas; a traditional afternoon tea, a sparkling one which comes with a glass of sparkling wine or the Cariad afternoon tea which features a glass of Cariad sparkling wine or champagne. Expect to see traditional sandwiches including egg and cress and ham hock and piccalilli, warm scones and lavender sugared Welsh cakes plus macarons and lemon drizzle cakes!